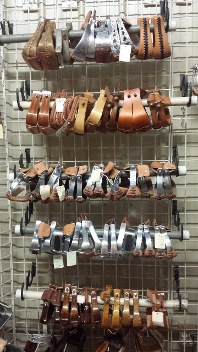 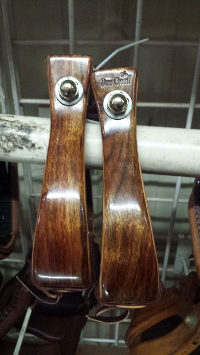 STIRRUPS - Caldwell Saddle Co.
We now carry Don Orrell stirrups! 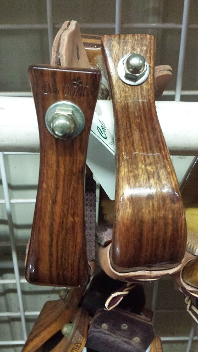 STIRRUPS are critical to high performance. 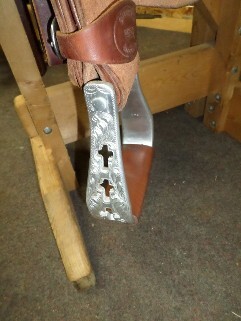 We endorse the stirrups shown in this section for use by our clients. 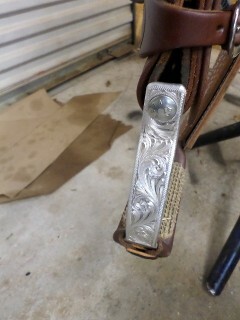 Note that even though the bolts on the stirrups are applied with lock washers and an adhesive, loosening, though rare, is still possible. 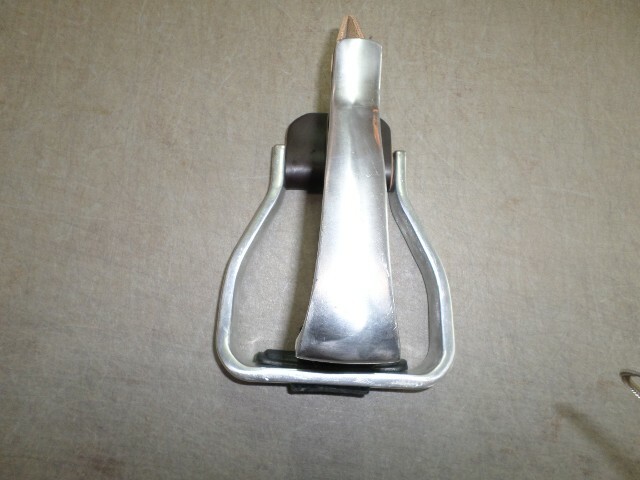 For your safety, please check all items on all of your tack regularly, as loosening is easily corrected with simple tools. 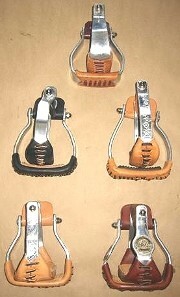 We highly recommend WALLS Lite Racer Stirrups. 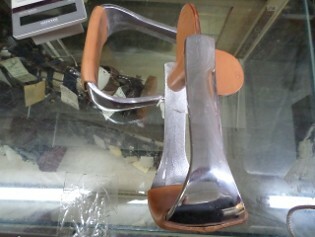 The new Angled Lite Racers help with knee strain and are becoming very popular. 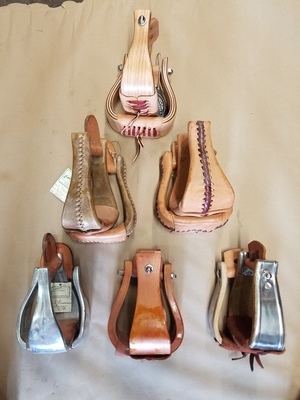 We carry all styles of S.A.'s custom stirrups: straight, angled, offset, youth, plain, engraved, and/or lettered sides, logo'ed (yours or the famous Caldwell brand) in 2" or 3"; with or without rubber gripper treads. 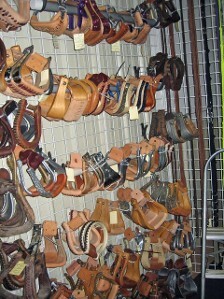 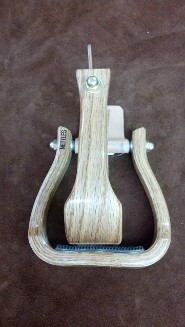 We carry a large selection of NETTLES STIRRUPS. 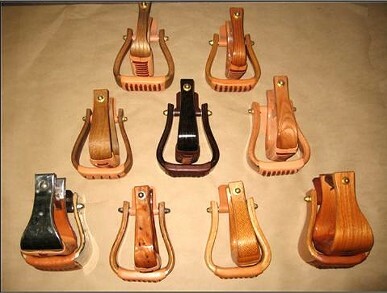 These attractive and comfortable stirrups are available in sizes from 1" to 4", and several wood types and finishes. 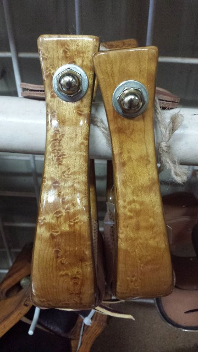 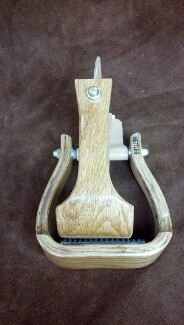 We are now carrying a new style of Nettles wooden barrel racer stirrup! 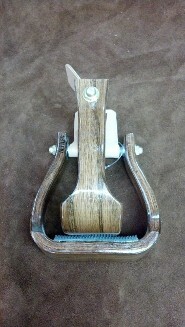 We are now offering a new men's all-aluminum, extra wide, 2" stirrup! 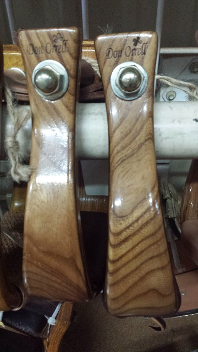 (bottom row) 3" Walls, heavy cast alum.